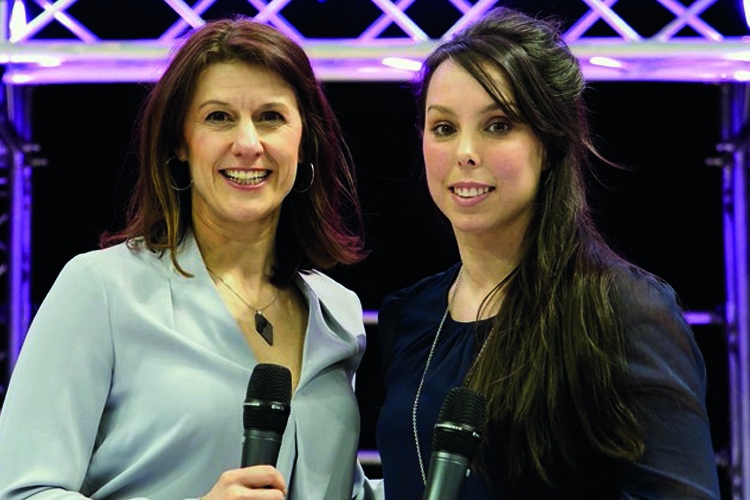 Beth Tweddle MBE took the stage at the 2018 Gymnastics British Championship to celebrate her renewed partnership with British Gymnastics. Beth’s ‘Total Gymnastics’ venture has been an Official British Gymnastics Delivery Partner since May 2017 and in 2018, this partnership will develop to include new and tailored coach education courses, in-depth support on inclusive delivery and heightened brand awareness. Total Gymnastics delivers gymnastics in numerous locations across the North West with over 3000 children currently doing gymnastics after school. To date they have worked with over 150 schools during curriculum time. This renewed and growing partnership enables an even greater increase in the number of opportunities for children and young people to participate in gymnastics in the North West where there is significant demand. Beth said: "I’m proud to partner with British Gymnastics through Total Gymnastics. Gymnastics has been my life and given me so many different opportunities. Gymnastics taught me more than just how to win medals. It is more than just a sport. I have learnt so many skills that I use in everyday life now. British Gymnastics’ delivery partnerships enable more children to get involved in gymnastics and ensure they have a high-quality experience." Dave Marshall, British Gymnastics Participation Director said: "It is fantastic to have Beth’s ‘Total Gymnastics’ as an Official Delivery Partner. Beth has done so much for the sport and her team deliver fantastic experiences. Our values and approach naturally align as both parties are passionate about ensuring a high quality, fun-fuelled experience. Beth is a brilliant ambassador for the sport and an iconic role model for gymnastics. We’re delighted both parties have renewed and strengthened their commitment." The partnership was marked with one lucky school having an exclusive opportunity to meet Beth backstage for a private Q&A session, as well as receiving autographs and goody bags.